This comprehensive program is an advanced dental marketing & profit strategy for determining your dental practice fees. While annual fee increases are an important part of dental management, lots of dentists overlook raising dental fees – sometimes for years! 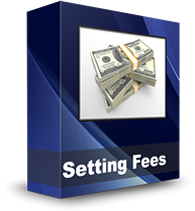 If your practice hasn’t raised its fees in the past 6-12 months, then you’re not as profitable as you could be! In this online video tutorial, we review strategies for how to set dental fees and provide articles that you can share with your team.